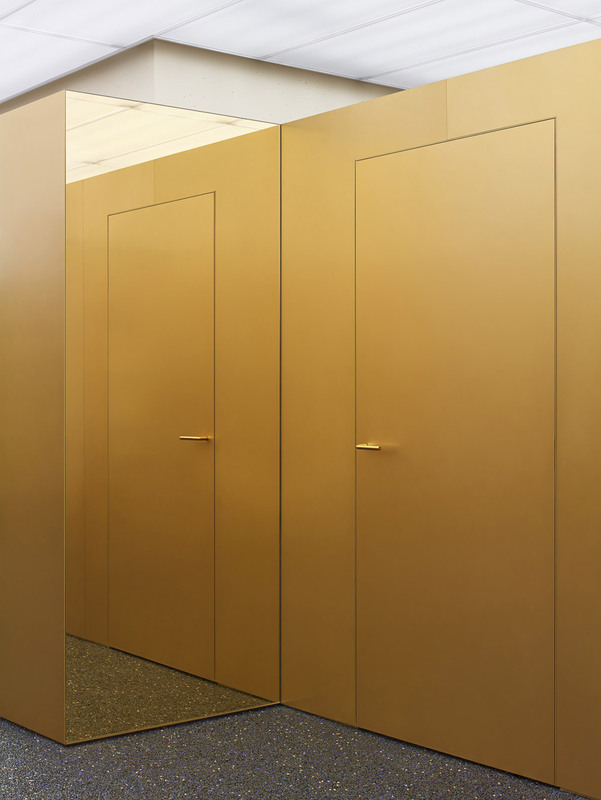 Acne Studios strikes gold with its New York global flagship store. 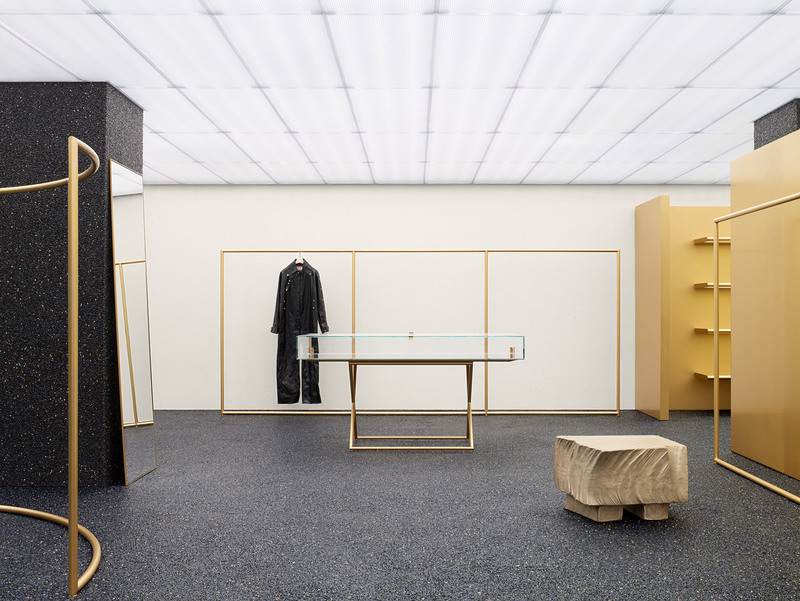 Stepping into any Acne Studios store around the world is an experience in both minimalism and the unconventional. 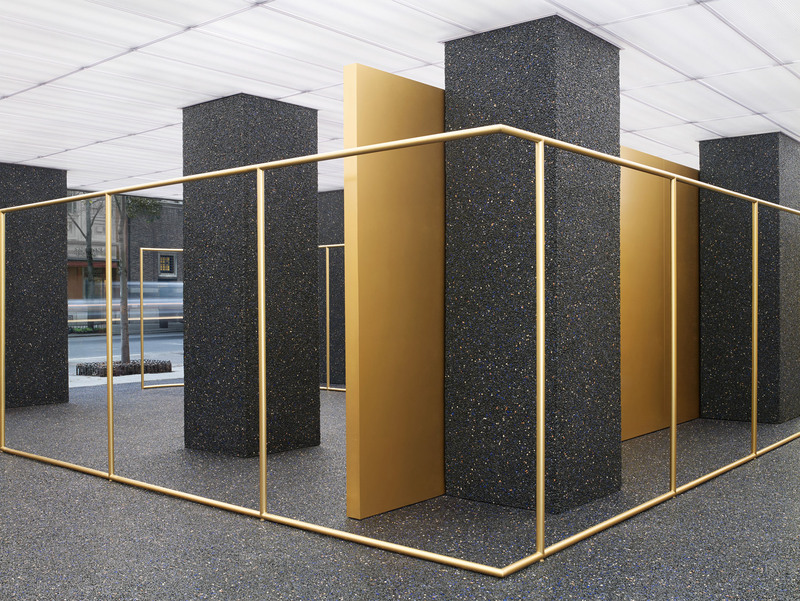 Working with designers to create unique spaces that embody the brand’s aesthetic, the multi-disciplinary luxury label from Stockholm recently completed its latest design collaboration: a global flagship store on New York’s Madison Avenue. 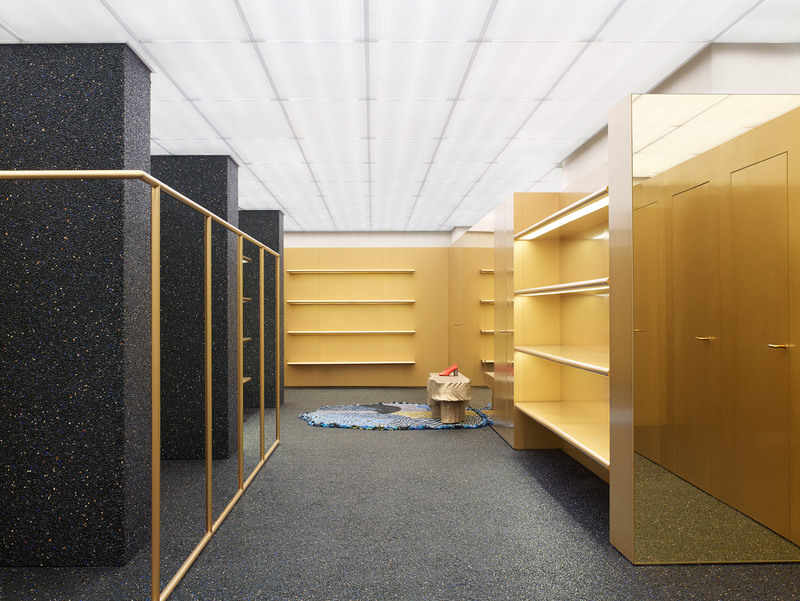 With the help of London-based designer Max Lamb, Acne’s new flagship store is an exercise in bold elements: gold-tinted aluminum, hand-dyed yarn and asphalt are just some of the contrasting materials that create a unique backdrop to Acne’s revolving collections. 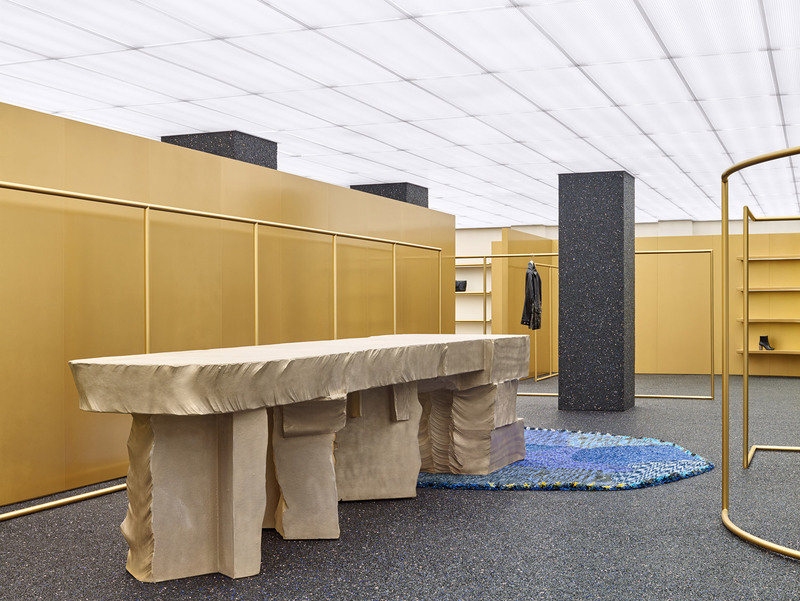 The store is dotted with sculptural bronze furniture and bespoke textile rugs that straddle the line between art and function, a concept that extends throughout the store with its gilded, tubular display frames. Presenting men’s and women’s collections, along with bags and accessories, the store acts as a gallery for the brand itself, accentuated by the transparency of it’s fully wrapped glass storefront. Located on the corner of East 74th Street, one block from the emblematic Met Breuer building, the store creates a bold statement for Acne Studios on one of New York’s most iconic avenues.